Brand: Fat Daddios FD-SMF032 Units: 1 Madeleine molds are perfect for cake, pastry, chocolate, and so much more. The flexible material allows for easy unmolding of the most delicate of foods. Naturally non-stick, each mold requires little or no release coatings. Temperature resistance to 550 degrees allows for a wide variety of uses. Nine 1 ounceccavities, 2.68" x 1.77" x .67" deep. 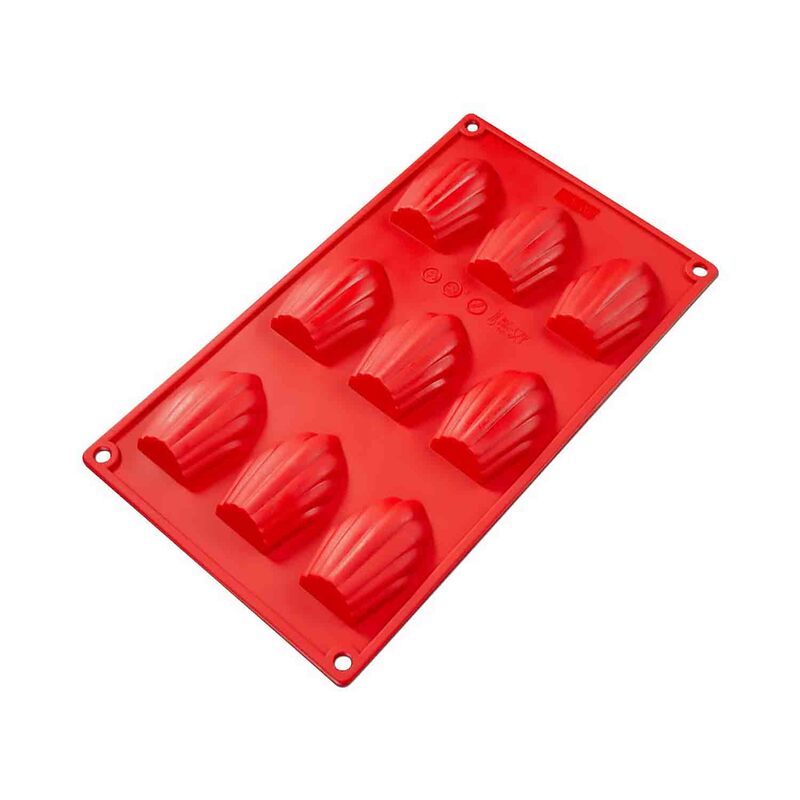 Madeleine molds are perfect for cake, pastry, chocolate, and so much more. The flexible material allows for easy unmolding of the most delicate of foods. Naturally non-stick, each mold requires little or no release coatings.